We have gotten so much rain the last few days. Everything is soggy. 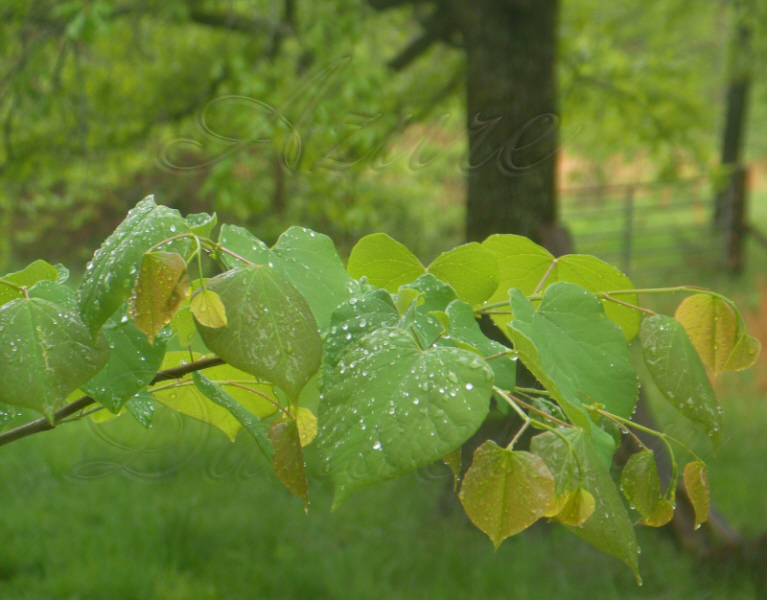 I love how as the rain slows it forms little sparkling jewels of water on the leaves. This is a picture of that happening on a Redbud Tree.